Without the traditional cacophony of rock guitars and drums violently expunging rage and woe, Evanescence’s latest album is less angsty and more cathartic than its predecessors, perhaps mirroring the band members’ and their fans’ newfound maturity over the years. After years of waiting, legendary goth-rock band Evanescence finally released their fourth studio album on November 10. 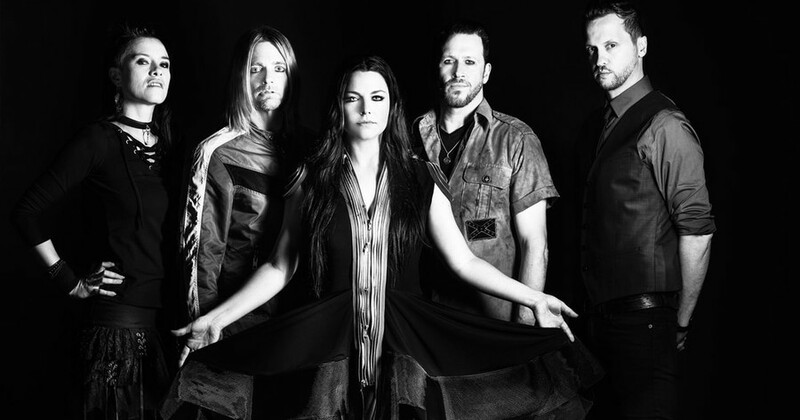 Titled Synthesis, after what lead singer Amy Lee described as “the combination, the contrast, the synergy between the organic and the synthetic,” the record remasters select songs from the band’s oeuvre into symphonic-electronic masterpieces that reach new dramatic peaks. The first single released was one of the most renowned Evanescence songs, “Bring Me to Life” from Fallen (2003). It was brought back to life with arrangements by David Campbell, a frequent collaborator since the band’s debut. Lee recently revealed that the inclusion of Paul McCoy’s vocals on the 2003 track was the result of corporate sexism; the band’s record demanded a male presence to counter Lee’s purportedly aggressive femininity. McCoy’s guest vocals are absent from the remake, however, returning Lee’s long-deserved agency. The second single is one of the only two completely new songs written for Synthesis. For Lee, “Imperfection” is a song “for all the people we've lost, all the people who we could lose, to suicide and depression.” Lee’s signature belting combines dense synth elements with a quick tempo to make the song ironically the most reminiscent of past material. The other new track, “Hi-Lo,” is a decade-old song originally designated for the eponymous 2011 album yet now featuring violinist Lindsey Stirling. “Lacrymosa,” which carried the early signs of potential for Synthesis on The Open Door (2006), might be the most creative reworking of all the songs in the album. The original track sampled segments from Mozart’s Requiem, emulating its harrowing string performance and haunting choir. Whereas the band had originally superimposed rock instrumentation on the composer’s work, the now-disassembled piece creates a more coherent and powerful whole that seems less like appropriation and more like an authentic work in itself. Furthermore, “The End of the Dream” and “Never Go Back” had been among Evanescence’s heaviest songs when first produced in 2011, but the latter now features delicate vocals with less of the original’s outraged desperation while the former is even more subdued, opening with a low, cavernous hum and Lee’s crooning rather than an eruption of metallic instrumentation. This ominous tranquility allows for, as in most of Synthesis, a buildup of tension throughout the track that culminates in an emotionally gripping apex. Where the incessant sense of urgency permeating the original tracks left the listener feeling pumped yet drained at the end, the remade versions instead leave the listener in awe. “Imaginary” is one of the band’s oldest tracks, released in an EP from 1999 and reworked for 2003’s Grammy-winning Fallen. A song about hiding oneself away in an oneiric utopia to avoid the atrocities of the real world, the latest version of “Imaginary” prizes unadulterated vocals over digitally-constructed choir sounds and other alterations of Lee’s voice. In addition, the predominance of a string arrangement and electronic beats over typical rock elements transforms the melodic depiction of a nightmare into one of a dreamscape saturated with drama and tragedy. Similarly, in “My Heart is Broken,” Lee forgoes her previous position as hard-rocker to assume that of an operatic virtuoso mourning the pains of existence. On the other hand, not all Synthesis tracks are drastic transformations of the band’s older records. Tracks such as “Lost in Paradise” (2011), “Your Star” (2006), and the much-beloved “My Immortal” (2003) seem to be the least changed, perhaps because they originally included less goth rock instrumentation than Evanescence’s other songs. The rearrangement of synth elements and various instruments nonetheless accentuates the songs’ meanings: “Lost in Paradise” undergoes a metamorphosis from piano ballad to symphonic epic while “Your Star” grows more celestial, darker, and deeper. True to its name, Synthesis is more than a compilation of songs—it is a dynamic, continuous soundtrack representing Evanescence’s journey and that of its fans. Besides the musical flow from song to song, the album also includes two interludes and an overture that create narrative cohesion. The exclusively instrumental pieces, albeit slightly histrionic, give listeners a welcome respite from lyricism and allow them to indulge completely in melody. The Synthesis tour began on October 14 and will continue through April 2018.